600V stranded, tinned wire. 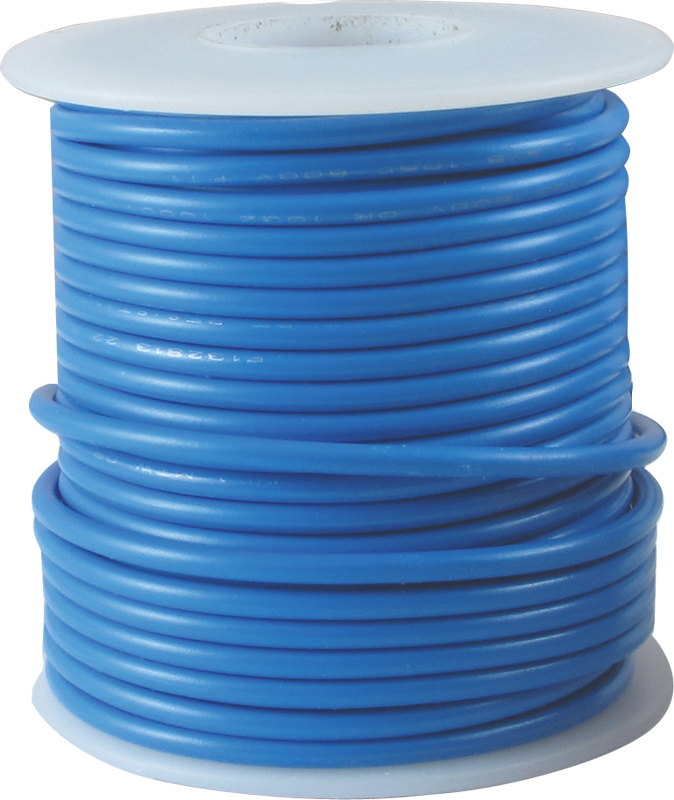 UL style 1015, rated to 105 degrees C. Perfect for new projects or rewiring any electrical equipment. Black S-W22B Packaging Dimensions 2.3 in. x 2.2 in. x 2.2 in. Black S-W22B Weight 0.303 lbs. Blue S-W22BL Packaging Dimensions 2.3 in. x 2.1 in. x 2.1 in. Blue S-W22BL Weight 0.3 lbs. Brown S-W22BR Packaging Dimensions 2.3 in. x 2.1 in. x 2.1 in. Brown S-W22BR Weight 0.3 lbs. Green S-W22G Packaging Dimensions 2.3 in. x 2.2 in. x 2.2 in. Green S-W22G Weight 0.304 lbs. Orange S-W22O Packaging Dimensions 2.3 in. x 2.2 in. x 2.2 in. Orange S-W22O Weight 0.313 lbs. 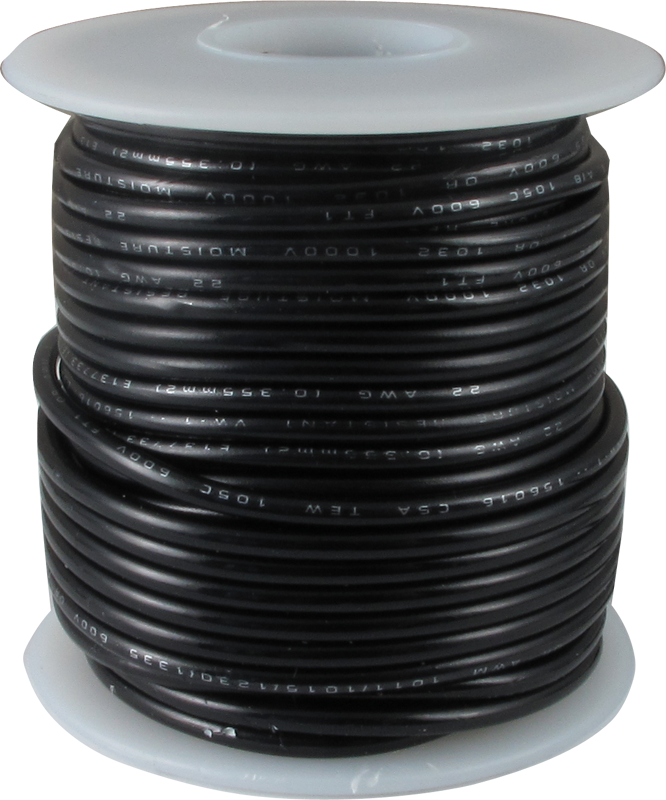 All models Outer Diameter 0.086 in. 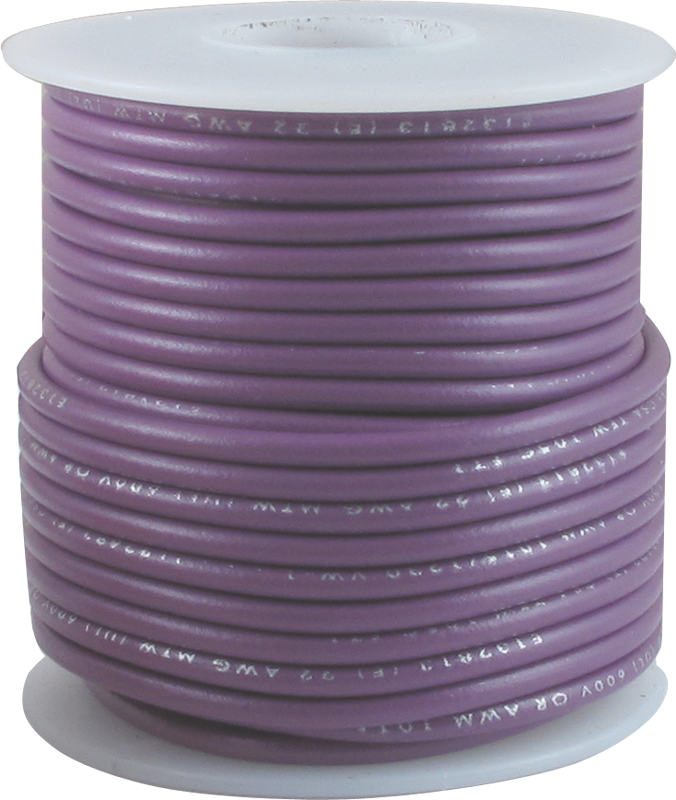 Purple S-W22P Packaging Dimensions 2.3 in. x 2.1 in. x 2.1 in. Purple S-W22P Weight 0.3 lbs. Red S-W22R Packaging Dimensions 2.3 in. x 2.2 in. x 2.2 in. Red S-W22R Weight 0.305 lbs. White S-W22W Packaging Dimensions 2.3 in. x 2.2 in. x 2.2 in. White S-W22W Weight 0.303 lbs. Yellow S-W22Y Packaging Dimensions 2.3 in. x 2.2 in. x 2.2 in. Yellow S-W22Y Weight 0.324 lbs. I wish you also had 20 AWG hook-up wire. The 22 is good though. Very flexible and easy to work with. High voltage 600v! 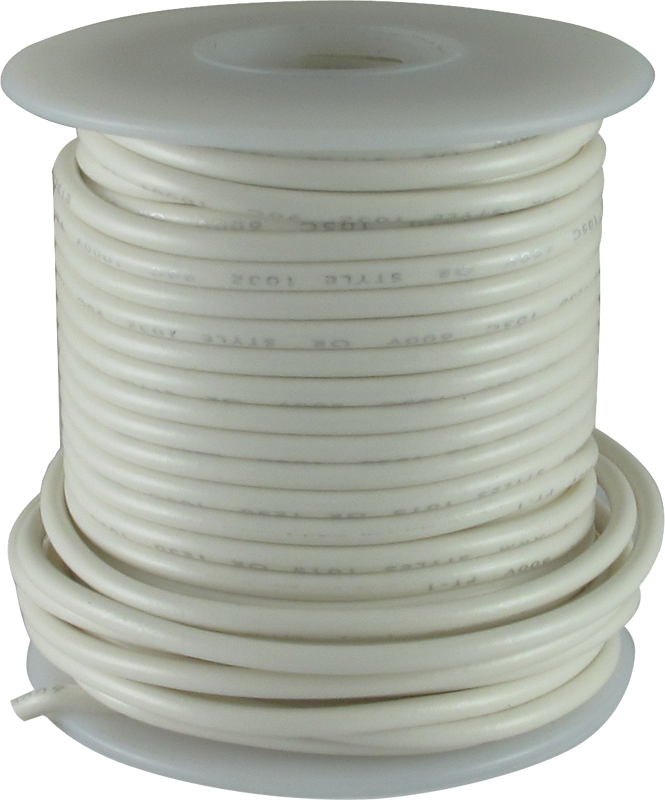 Excellent quality stranded wire for amp builds. 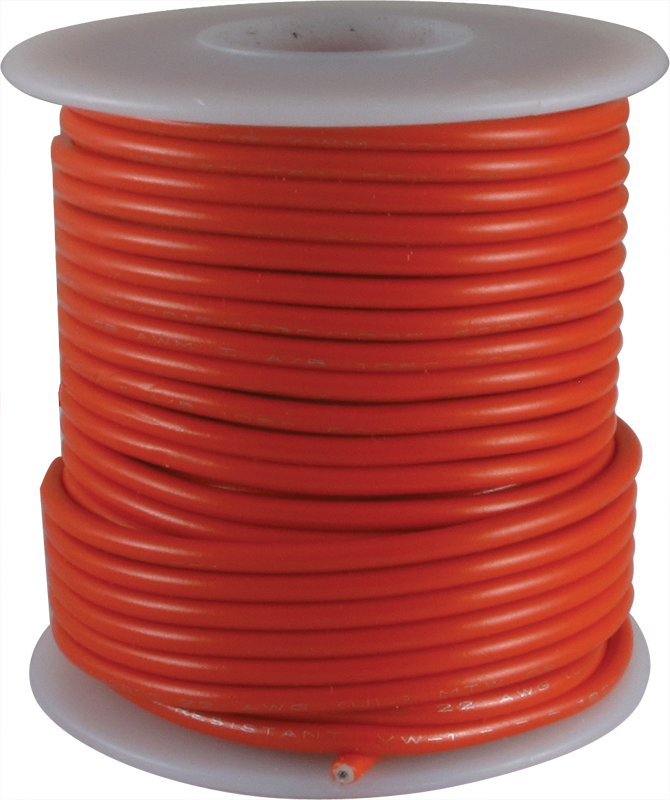 This wire no solid core but super quality! Asked by Michael Palm on September 1st, 2015. This is stranded wire that has been tinned. The diameter is .086. Asked by sbvoigt on September 29th, 2015. Asked by mjgillen on November 28th, 2015. Asked by Anonymous on January 19th, 2016. Asked by Anonymous on January 25th, 2017. Yes, do a search for SKU: S-W7XL. Asked by Anonymous on April 10th, 2017. 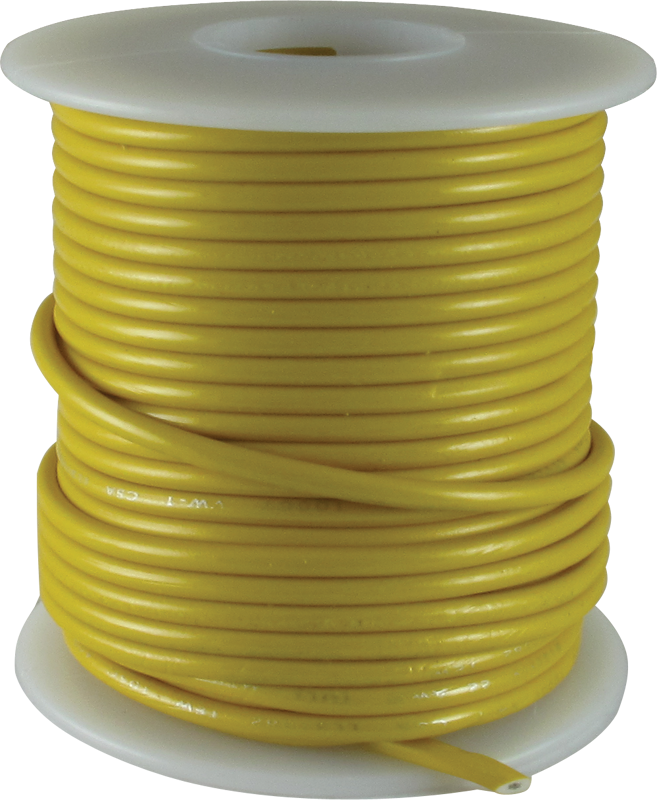 Unfortunately we only sell this wire in 50 foot rolls. Asked by Anonymous on November 16th, 2017. 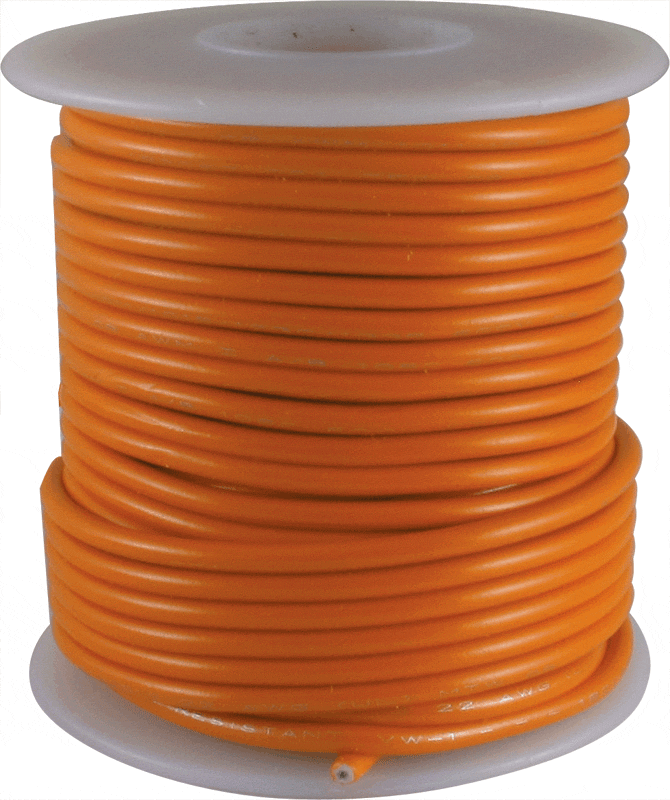 We do not have a manufacturer's name but this wire is made in the USA. Asked by Anonymous on August 21st, 2018. Asked by Johow440 on December 12th, 2018. 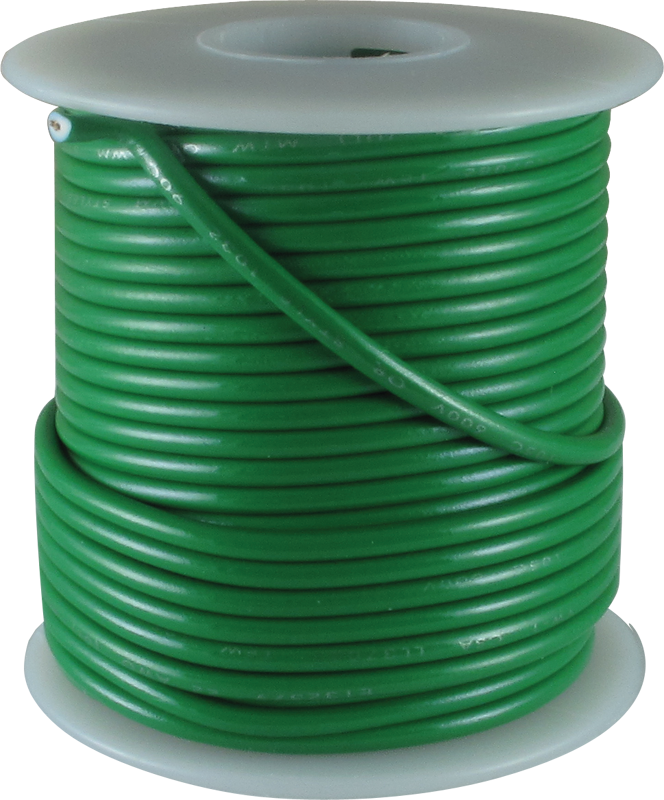 The first answer on the Q&A has been modified as this wire is in fact tinned. Asked by Anonymous on April 18th, 2019. 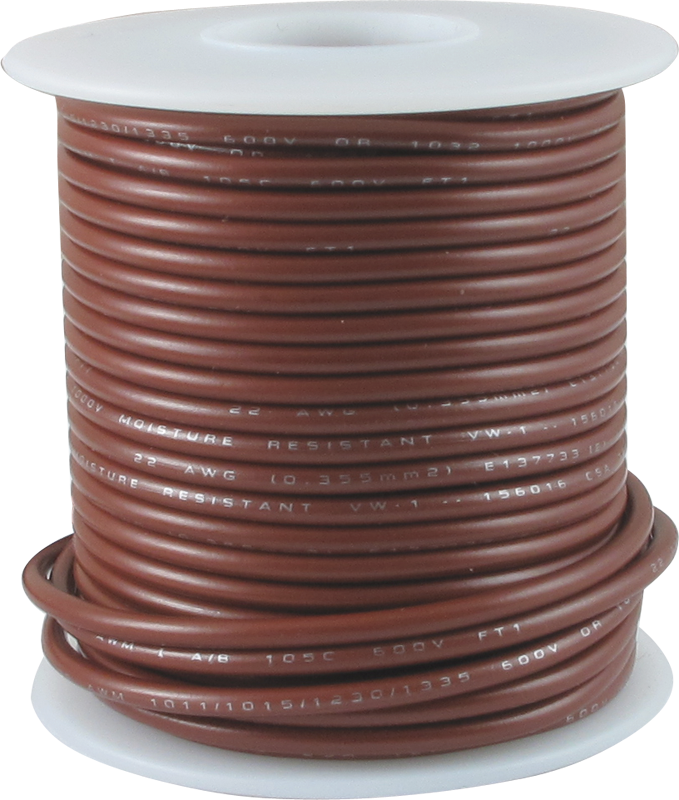 According to the manufacturer, this is stranded bare copper wire and is sourced from a reputable US supplier.